Being emotional is not Emotional Intelligence! So then, what is Emotional Intelligence? A 3-day workshop where participants will work with the Coach and Facilitator to discover for themselves the critical elements that go into the EI Framework. The driving philosophy of the workshop is Learn-Experience-Reflect-Apply wherein each participant will be able to relate their own life experiences to the EI Framework in order to get more effective in managing self, managing situations and managing others. Vikram is an International Coach Federation (ICF) Coach. He has attended courses with the Worldâ€™s top Leadership and Executive Coaches - Marshall Goldsmith and John Mattone. He is personally trained, mentored and certified by John Mattone (Former coach of late Steve Jobs) as Intelligent Leadership Executive Coach, and Leadership assessor using Leadership Inventory assessment tool. He is a Licensed Neuro Linguistic Programming (NLP) Coach, certified by Dr Richard Bandler, Co-founder of NLP. He is a certified NLP Trainer accredited by two of the largest boards in the world - American Board of NLP (US) and Association of NLP (UK). He has personally been trained and certified by John Grinder Co-founder of NLP, Robert Dilts (Co-developer of NLP), Frank Pucilik (Co-founder of NLP), Ian McDermott (Tier 1 NLP Trainer from UK), Michael Beale (Richard Bandler certified trainer and coach trainer), Michael Hall (Founder of Neuro Semantics, and Meta Coaching), Shelle Rose (Leading coach from Canada, for Language Work), and works with various Neuro Scientists and Behaviour based experts across the world to create new cutting-edge coaching tools. 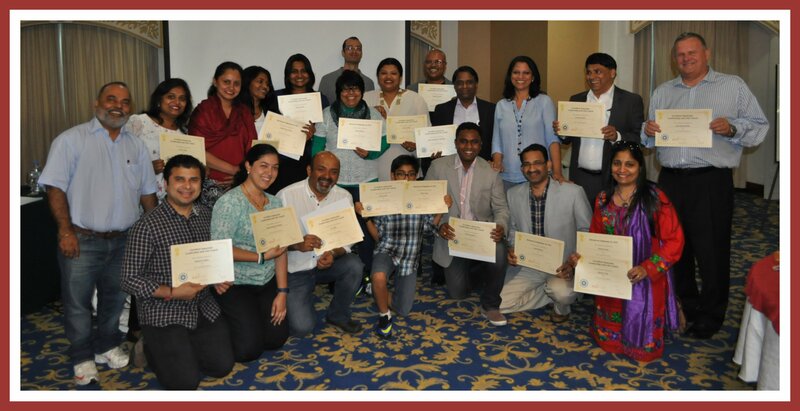 Vikram Dhar is a sought-after Award-winning Coach in Asia, having trained participants from India, Dubai, USA, Canada, UK, Kuwait, Sri Lanka, Myanmar, Australia, Philippines, Guatemala, Thailand, Sweden, Italy, Saudi Arabia, Lebanon, Egypt, Jordan, Malaysia, Israel, Slovakia... just to name a few. In his corporate career with Ernst and Young (5 years), and IBM (9 years), he managed teams across India, MEA, and the Asia Pacific, and handled client relationships in MEA and Asia Pacific. He was also associated with IBM Worldwide Coaching Group, as a coach to leaders within IBM. About 22 years work experience in Management roles & Management Consulting across industries and functions, including about 7 years in Senior Leadership. Manish is a Licensed NLP Coach (Certified by Richard Bandler), NLP Trainer and Master Practitioner. He facilitates Emotional Intelligence based group coaching, and one to one Leadership Coaching.